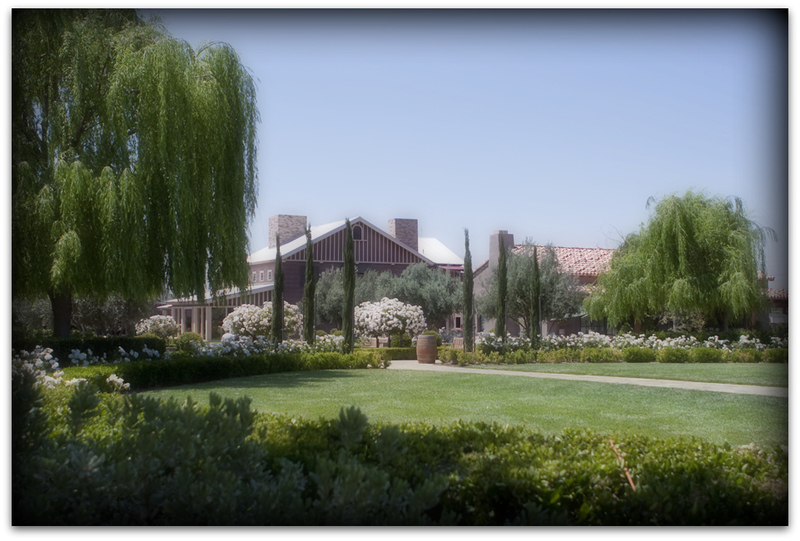 Ponte Family Estate is in the heart of the Temecula Wine Country on Rancho California Road. 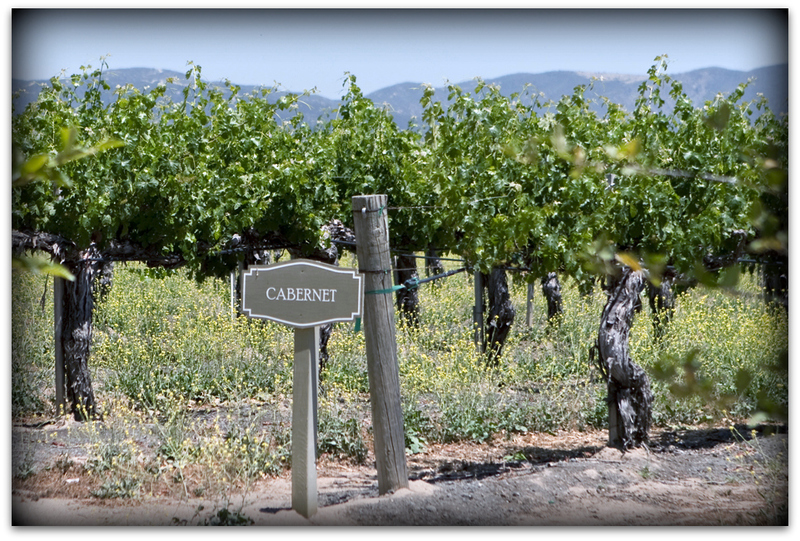 Claudio Ponte purchased the vineyards in 1984 and at 310 acres it’s one of the oldest and largest in the region. 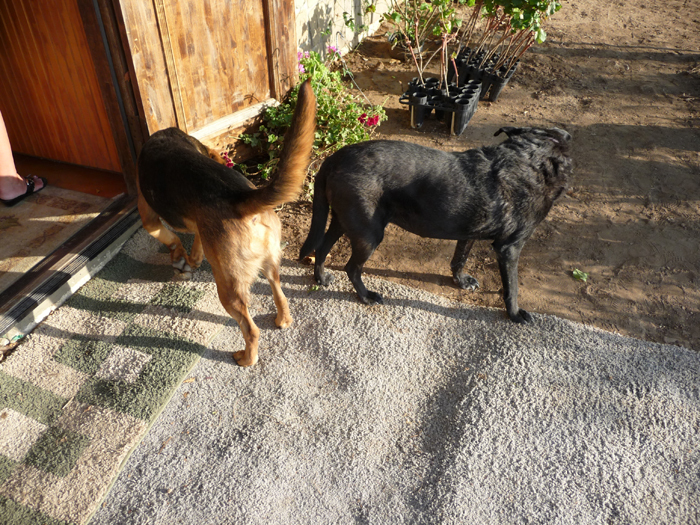 I took a tour of the winery and restaurant. 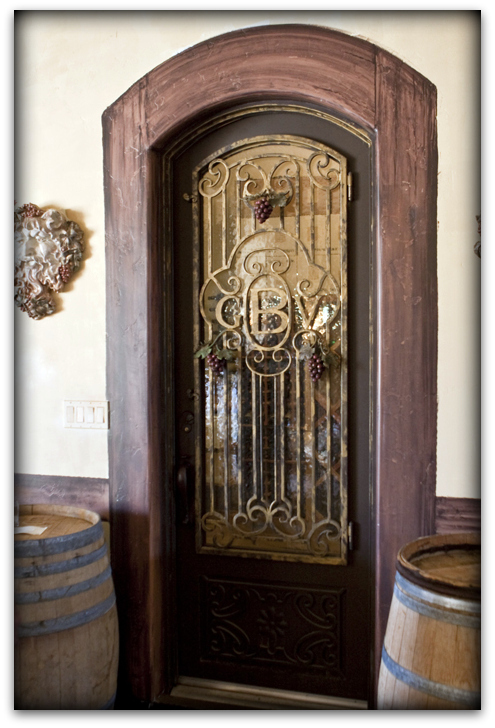 The tasting room opened its doors in 2003 and is one of the prettiest facilities around. 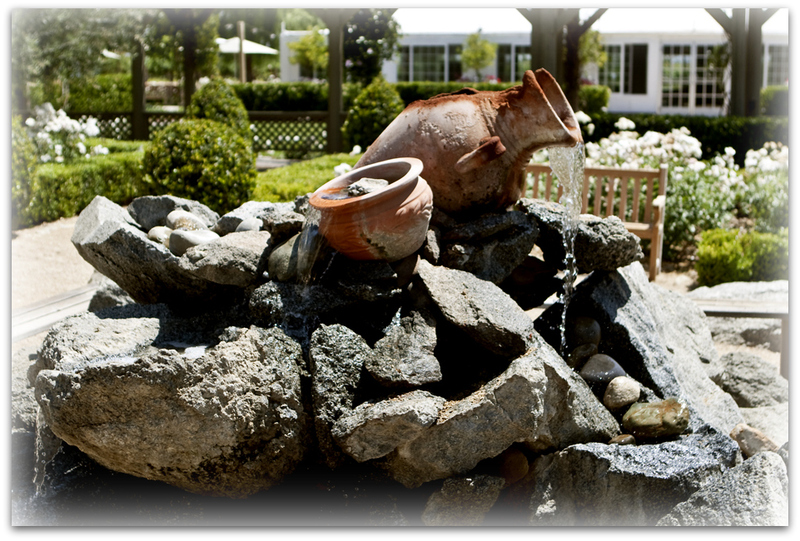 The idyllic setting is ideal for weddings and other events. 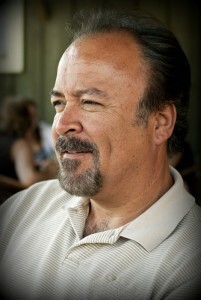 Owner Claudio visits the winery a couple of times weekly and makes certain the operation is maintained to his standards. 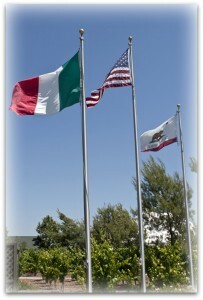 The Italian flag you see when you arrive at Ponte pays tribute to his family heritage. The grounds are magnificent. 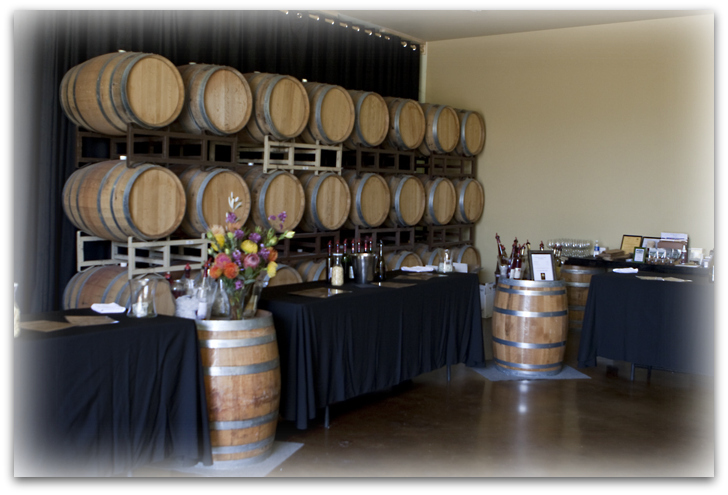 We paid a visit to the barrel room (where I had attended a Christmas party a few years back) and I tried a barrel sample of their Zinfandel Port. The finish was incredible. 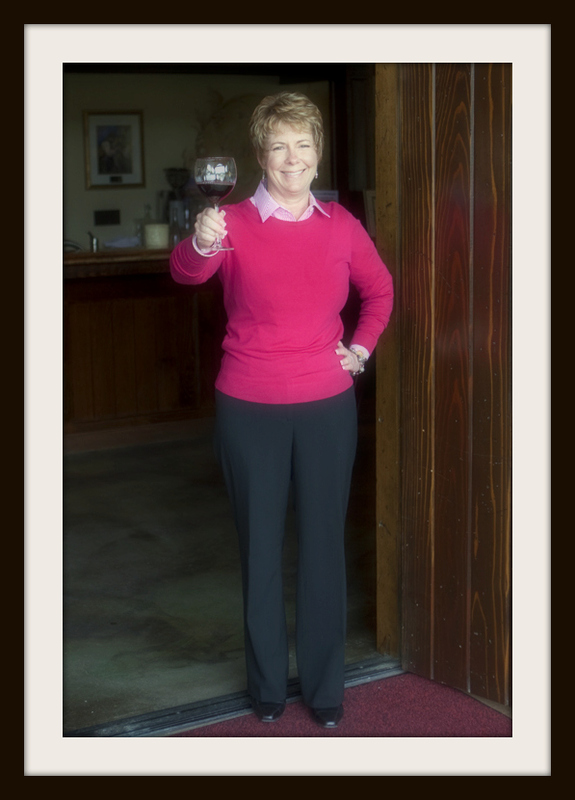 The next stop was at some of the holding tanks and barrels in the back, where I sampled the 2008 Petite Sirah. it was then time to visit the Smokehouse restaurant. 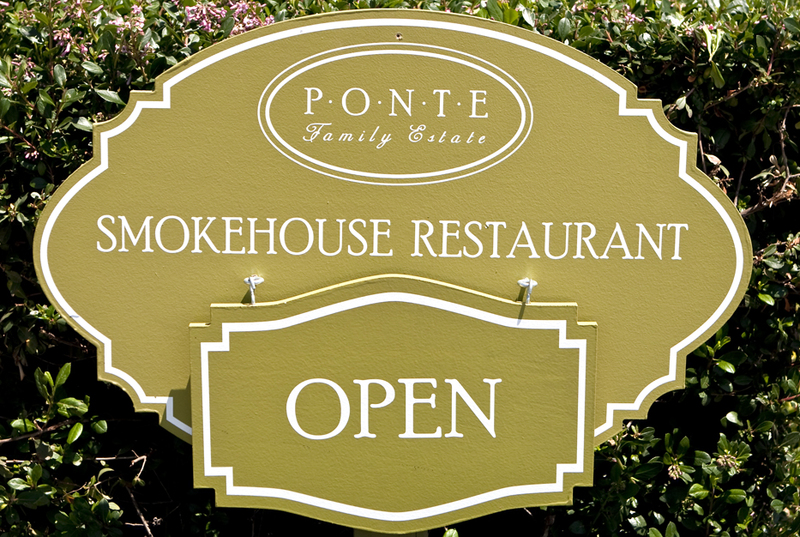 Winemaker Robert Cartwright and Smokehouse manager Randy Rodriguez joined us. We nibbled on cheeses and honeycomb, and then enjoyed a chocolate cheesecake. Robert and Randy are both clearly dedicated to their crafts. 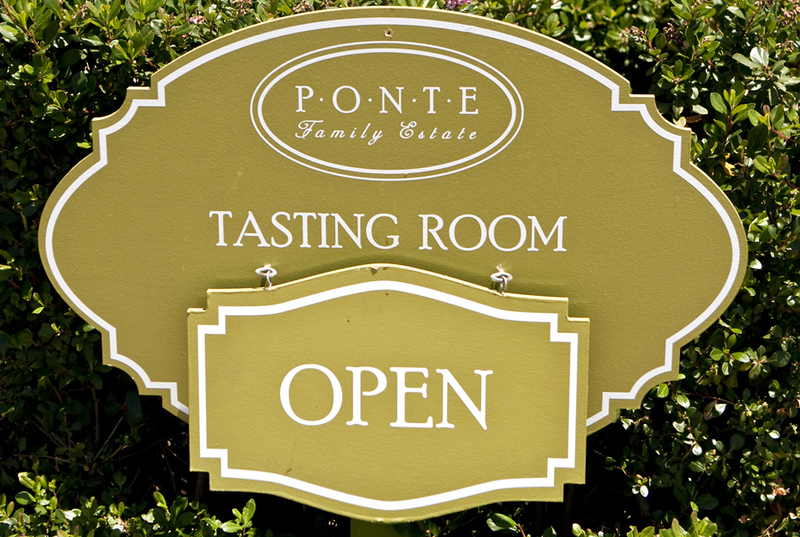 Ponte offers a wide selection of wines, the Super T being one of the most popular. The food at the Smokehouse is excellent. Executive Chef Steve Stawanski wasn’t there during my visit, but his stamp on the food was evident. 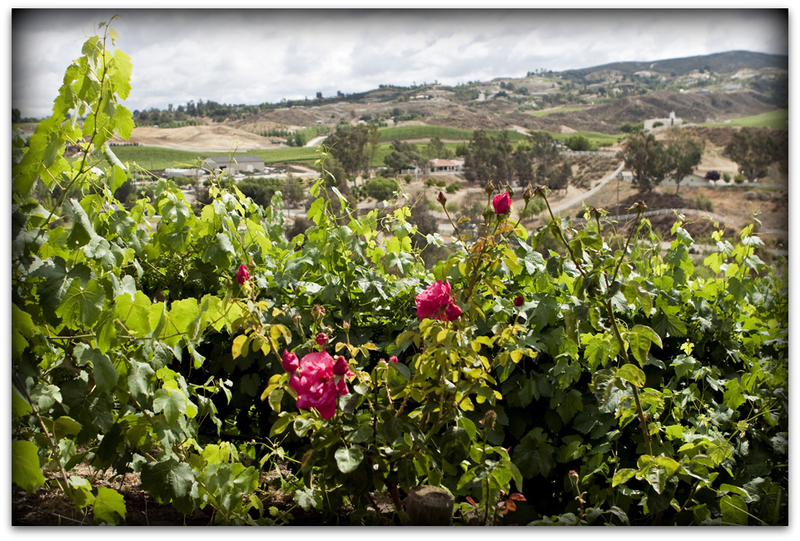 A stop at Ponte will be well worth your while when you visit Temecula’s Wine Country. 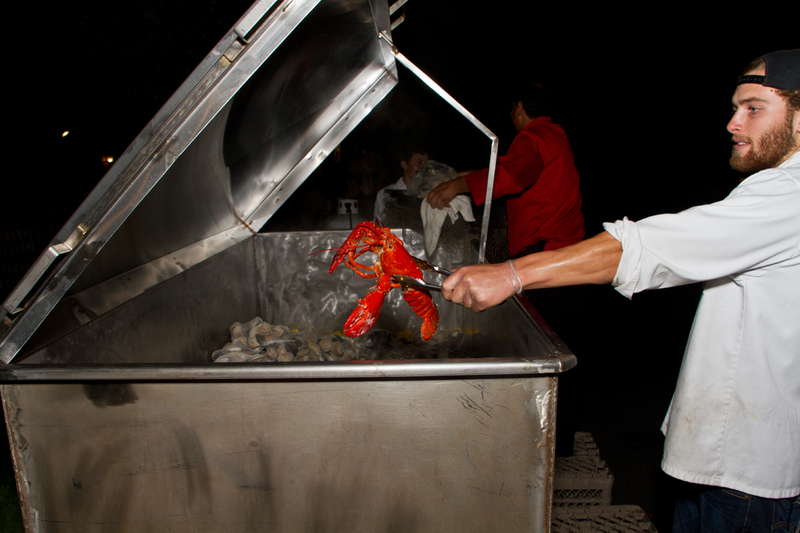 June 3, 2009 Linda K.
Excellent article and photos. 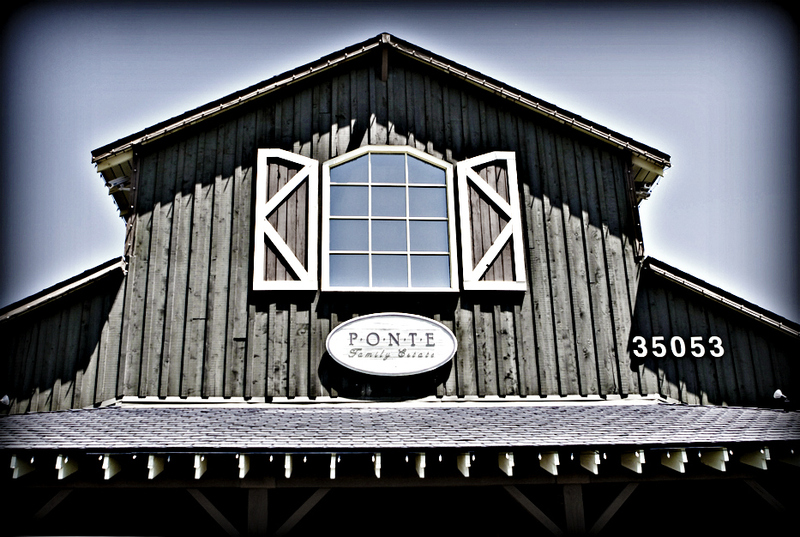 Thanks for capturing the essence of Ponte Winery! 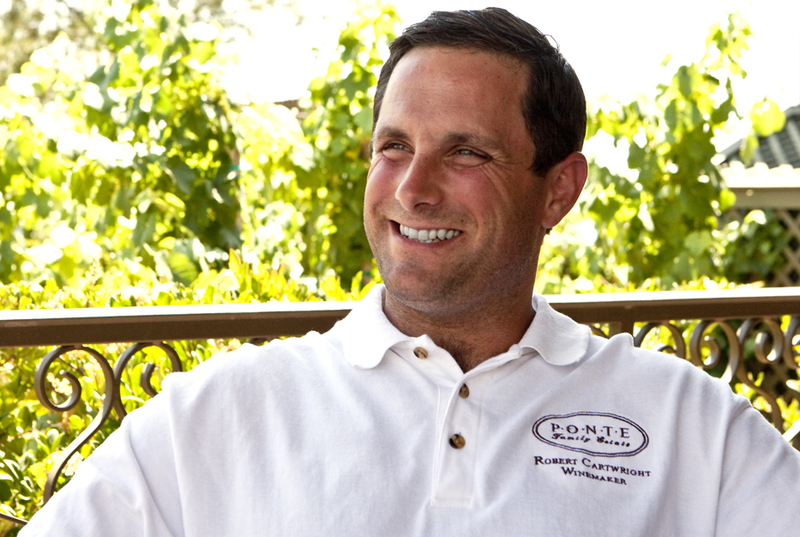 My friends, Fred & Brian, were members of Ponte’s wine club and I have fond memories of sitting back on the patio, relaxing with a nice glass of wine and watching the busy crowd the winery always seems to draw. We love Ponte and took Jacob there on day 6 of his life . . . and many times since. Little man is almost 3 now and loves the grounds AND the food . . . no wine for that guy yet. It’s really a beautiful setting. Thanks, Adrian.